A happy, well-balanced employee makes for a happy, well-balanced company. Take Care.com, the largest online care destination in the world, for example. 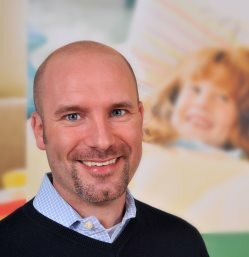 Chris Duchesne, VP of Global Workplace Solutions for the company, said that, three years ago, Care.com started offering its full suite of services to institutional and corporate clients giving their employees and their families access to child care, adult/senior care, special needs care, household and housekeeping services, and pet care. And the results of this added benefit? And workers aren’t the only ones who have benefited from the program. Duchesne said the company has seen increased loyalty and engagement, with 80 percent of employees now able to work on average an additional 6 hours per week and 60 percent avoiding missing work an average of six days per year. 1. How are the changing dynamics of families impacting the workplace? Families are always evolving. Think about the classic American family of our parents’ generation, and then look at today’s typical family. More than 60 percent have two parents working. In fact, the number of women in the workforce now outnumbers men. And as Pew recently reported, women are the primary breadwinners in 40 percent of households, and key personnel at their companies. With the added increase in production and 24/7 nature of work fueled by technology, today’s families struggle to create boundaries, manage their careers, and find the support they need for their children and their personal lives. So they turn to the only people they know who can help: their employers. The complexity of flexible-hours and an “always-reachable” employee (thank you smartphones) is forcing employers to look for comprehensive solutions that help employees meet their family needs today, and as they change over time. Because the truth is, good employers really do want their employees to be happy and feel a sense of balance. And this is especially important for the female staff, whom the concern of care tends to fall on most. In fact, care is one of the greatest barriers to women remaining in the workforce. 2.What can companies do to prepare and/or adjust to these impacts? First, leaders need to recognize that the experience of families in the workforce today is different than what they experienced. They can’t rely on their past experiences or expectations to indicate what is relevant to their employees today. The demographics of the workforce are constantly changing. In the majority of households, all adults work, and 1 in 4 employees are sandwiched, caring for both children and aging adults. Employers need to recognize these realities and help employees address them, not ignore them. It is the companies that demonstrate recognition of the whole employee and represent that they care about more than just their effective output that will be successful in not only attracting talent, but keeping their staff engaged and loyal. 3. 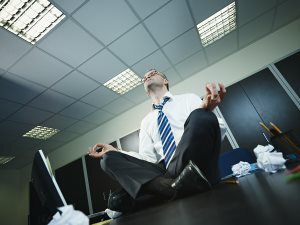 A recent Virgin HealthMiles study showed that there’s an important connection between the effectiveness of an organization’s cultural wellness and the wellness of its employees. What’s the reason behind this connection? An organization’s culture is at the heart of the employee experience. A well-functioning culture reduces friction in the organization, builds loyalty and boosts employee productivity. Cultures are as varied as the organizations they are a part of, and a well functioning culture doesn’t ensure a fit for every employee. But by knowing what you are as a company and presenting that through your culture, you help employees understand their fit and drive professional wellness. 4. Many employer-sponsored benefits are extending to spouses. Why is this trend beneficial? Employers are recognizing that employees are impacted not just by their immediate needs but by the needs of their broader family. Employees are concerned with not just their children, but their aging parents. And not just their aging parents, but their spouse or partner’s aging parents. In order to really address the needs of employees, employers are recognizing that they need to approach the challenge more holistically – total wellness considers the entire family’s needs. 5. Are there any key factors or requirements for a successful employee wellness program? Yes, create a program that provides ongoing coaching and support. Effective wellness programs are effective change programs. To be successful, programs should include not only education, but ongoing, proactive support with coaches and regular check-ins. Rewards should be aligned with sustained change, performance and results, not just completion of one-time activities. Like any other reward program, wellness rewards should reinforce the behaviors you are trying to promote. And remember that rewards don’t need to be monetary. Profile employees with a compelling wellness story that will inspire others; create competitions that will encourage participation, team coaching and encouragement, accountability, and both group and individual progress toward goals. Remember that the culmination of a successful wellness program isn’t what percentage of employees has completed a health risk assessment. It’s about creating better habits leading to better choices by employees. To attract and retain the next generation of the workforce, employers need to think carefully about not just the culture they create, not just about the number of programs they have in place, but about the employment brand they present. Top employers recognize that how, when and where employees do their work has changed and that they can’t ignore the context of work and employee’s personal lives and the impact of that dynamic on engagement and productivity. As one senior HR executive once put it to me, “Successful people have messy lives.” Employers of choice are embracing innovative strategies and solutions to help people manage their lives. They recognize that they need to take a holistic approach to meet the needs of a workforce less homogenous than ever before, and the ever evolving needs of their employees and their families so their employees can bring their best to work.